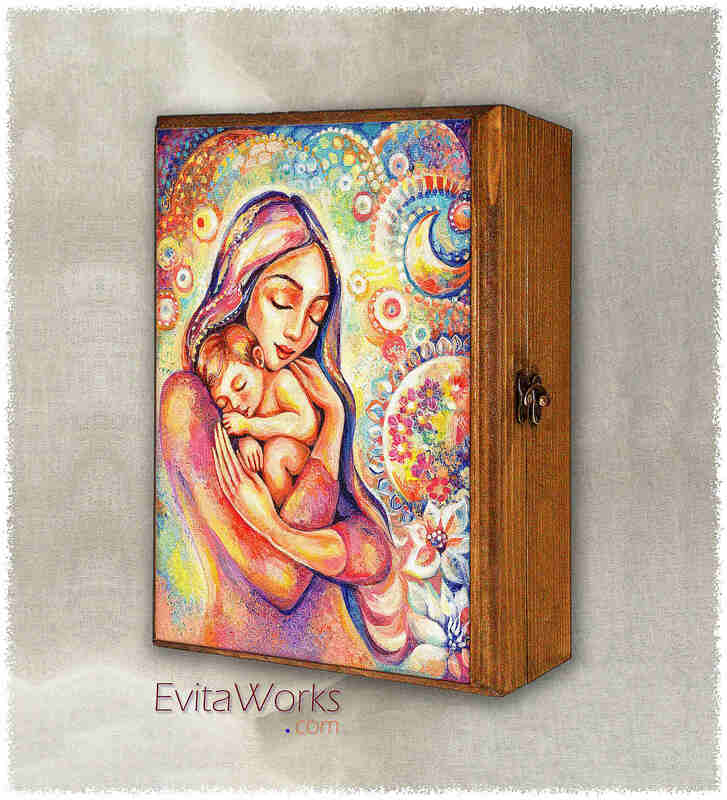 This item is based on our original painting, named “Angel Dream”. 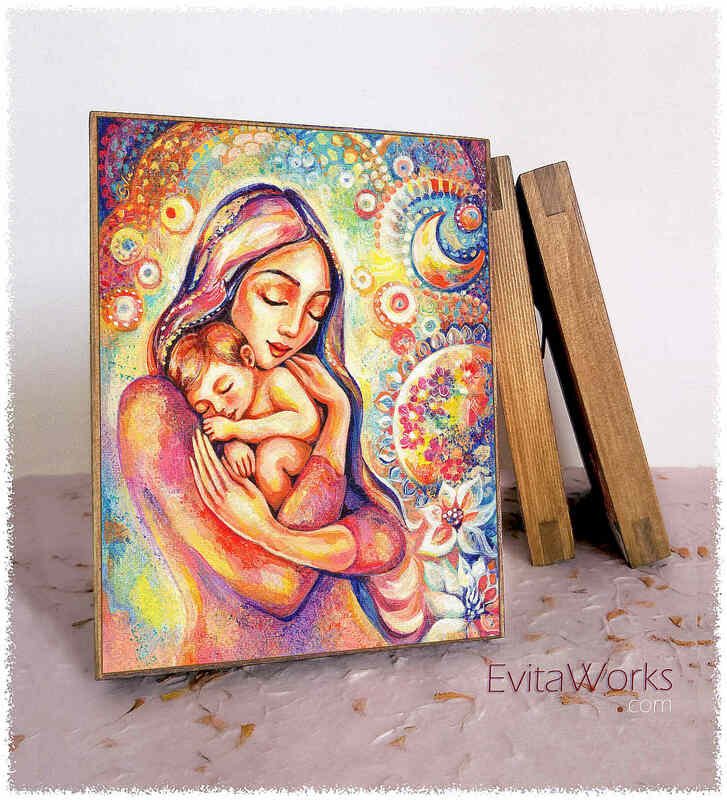 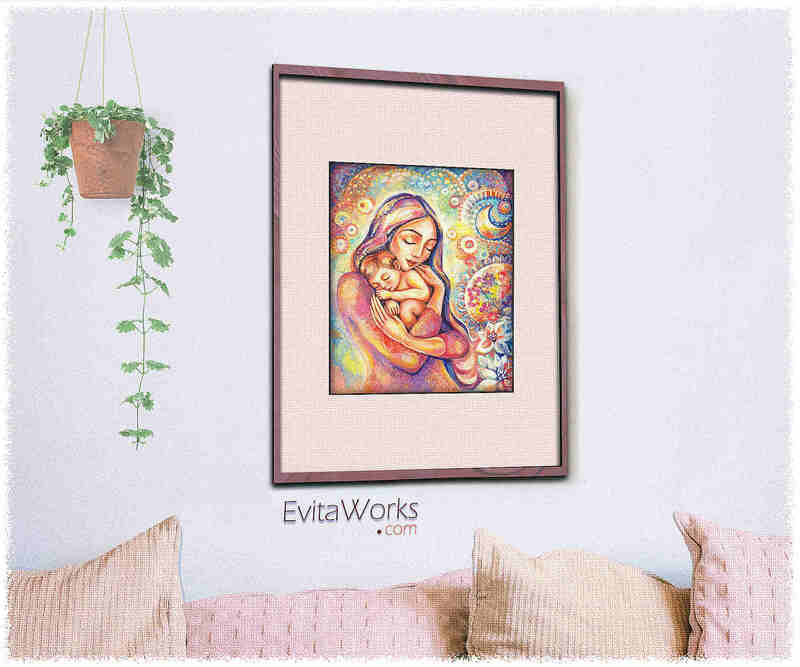 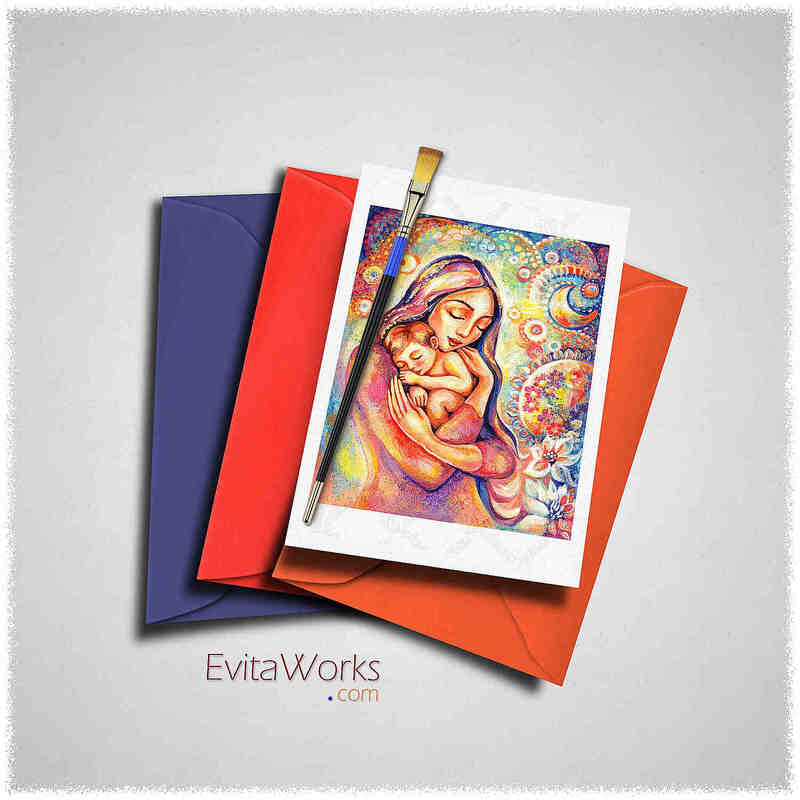 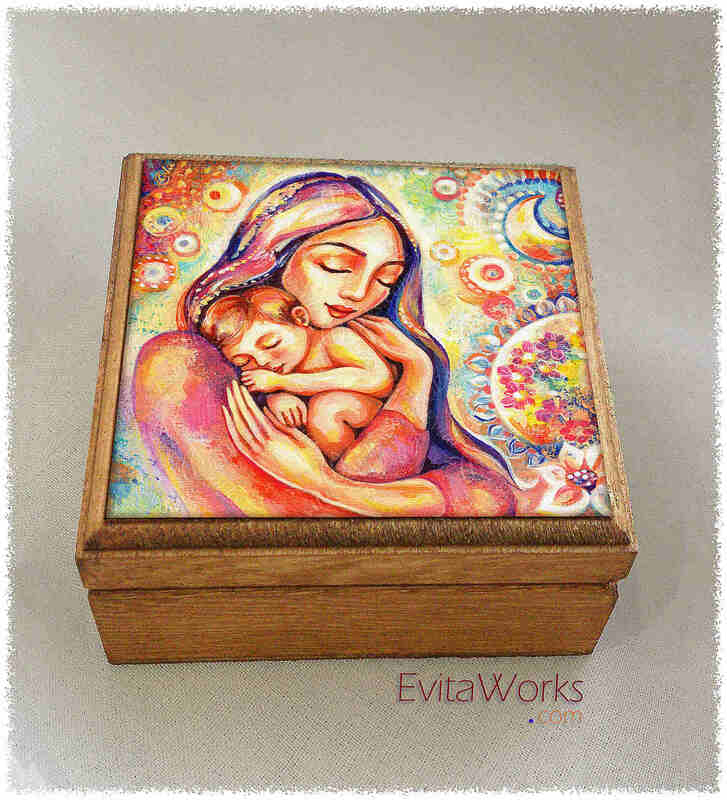 It depicts a beautiful, loving mother, with a gently sleeping infant in her embracing arms. 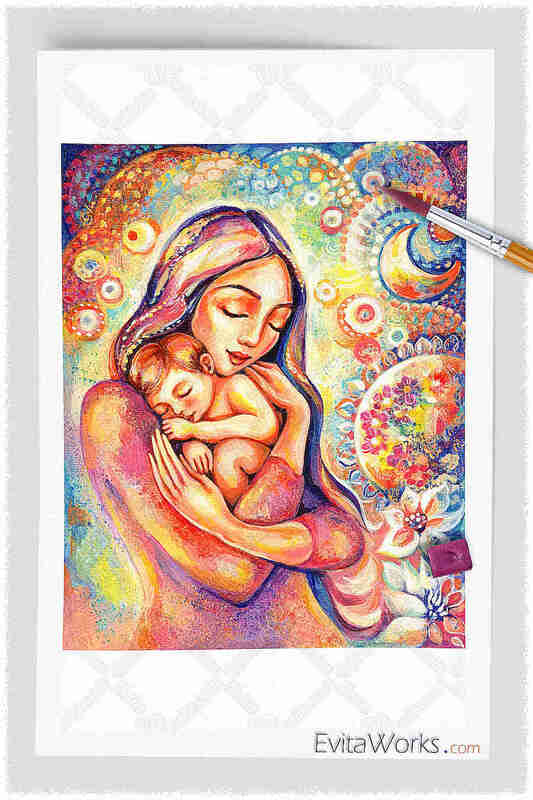 The original was painted with acrylic on paper, in soft color nuances of violet, yellow, blue.